Punta Mit fishing in April in hot as the weather. . Punta Mita is located right here in the middle of the mainland and it is a very important port in Mexico. We are known as the city where the fun people hang out along with some of the greatest fishing in Mexico. In April we start getting large numbers sMarlin coming up along with sailfish and tunas. This is when some of the black are showing up as the water is warming up here in beautiful Punta Mita. The water temperture is around 77 deg. in most places. On the short days of bay fishing or all day offshore we can you out there for a fantistic day of fishing. No fish no pay. Just kidding we always catch fish. There is icredible bay fishing action in April here in Punta Mita. Yellowtail, the Spanish America, some nice snapper and the California Bonita will keep the fishing rob bent all day long. 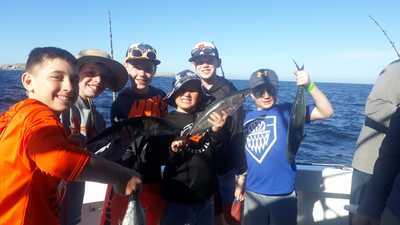 Most of these great fishing trips during the month of April we start get a lot of families, spring breakers and folks that want to fish for a short here in our bay.. You still might just see one or two of the humpback heading back up north along with our huge manta rays and dolphins right here in the bay. Some much marine life to see here in Punta Mita during the month ofApril. Punta Mita is very good for several fishing spots here in Mexico. The first being Mora which is perfect for the 8 hour trip. Once there you can catch just about everything Marlin sailfish and mahi - mahi. 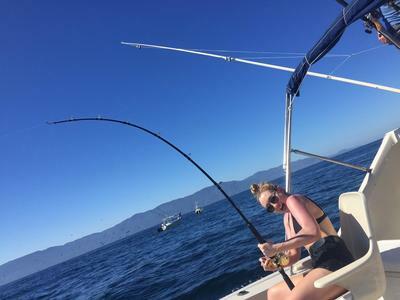 Second great place that we like to fish it's a little bit farther out good for a 10-hour trip it's called the El Corbetena there you have a really good odds at the Big World Class tuna, called cow tuna,Marlin sailfish and mahi-mahi in abundance. Third place that we like to fish and it's really super fishng sopt El Banco and it holds all the above and usually a little better numbers. 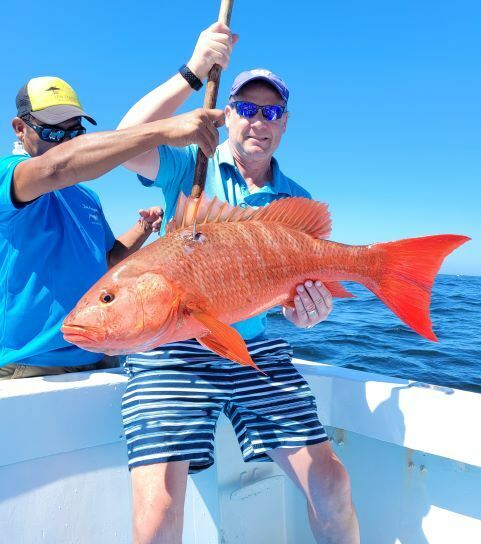 During the month of April here in Punta Mita fishing charters you're going to be able to have some good fishing from Punta Mita all the way up to Sayulita good action and great fishing with all kinds of fish from the offshore species. There will be lots of bait hanging along the coast and this draws the pelagic fish in close.